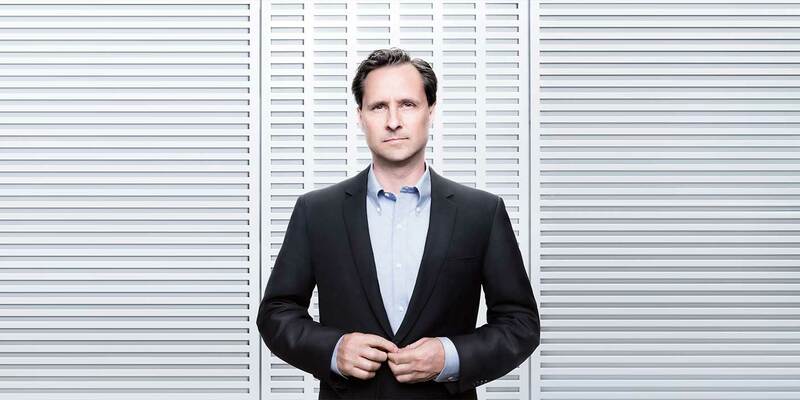 Hugh Herr. Courtesy MIT Media Lab. 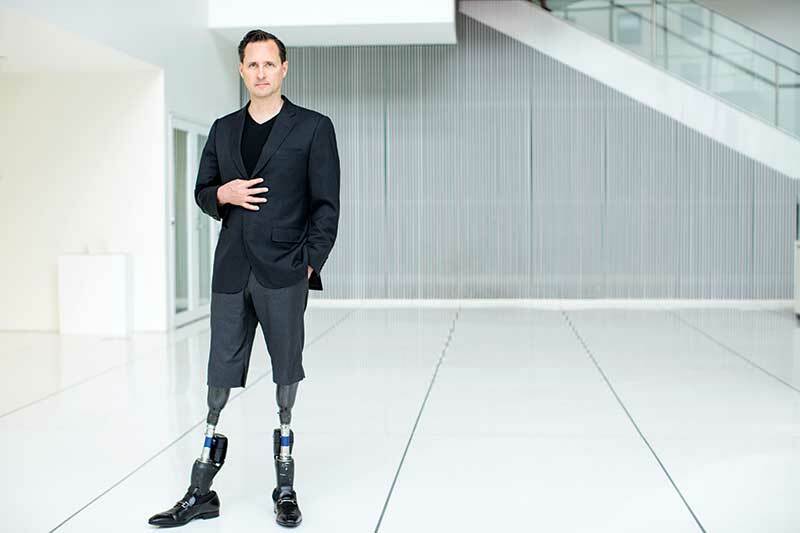 Hugh Herr with his robotic legs. Courtesy Matthew Septimus. That process of redesigning elements of his own body became an epiphany for Herr. “I viewed the missing biological part of my body as an opportunity, a blank palette for which to create,” he told an audience at the 2015 Autodesk University conference. In a sunny room overlooking the airy biomechatronics gait-testing laboratory, Herr doesn’t mention those accolades. Instead, he frames his research as a moral imperative to fight against the pain and frustration caused by underwhelming interfaces between humans and machines—a path, he believes, that will lead to a world in which artificial limbs no longer chafe and bruise and where quadriplegics might walk again. In a certain light, the central theme of that work could be framed as the notion that effective assistive technology needs to respond intelligently to human activity. However advanced a traditional prosthetic might be, its gross morphology is that of a pirate’s peg leg; to adequately bridge a human body and a prosthetic limb, the limb must sense its wearer’s intention and respond accordingly. A BiOM ankle depends on microprocessors, motors, and sensors that determine how the prosthetic is positioned so it can figure out its next step. Courtesy Bruce Peterson for Boston Magazine. That’s the reasoning that informs the design of the BiOM ankle. 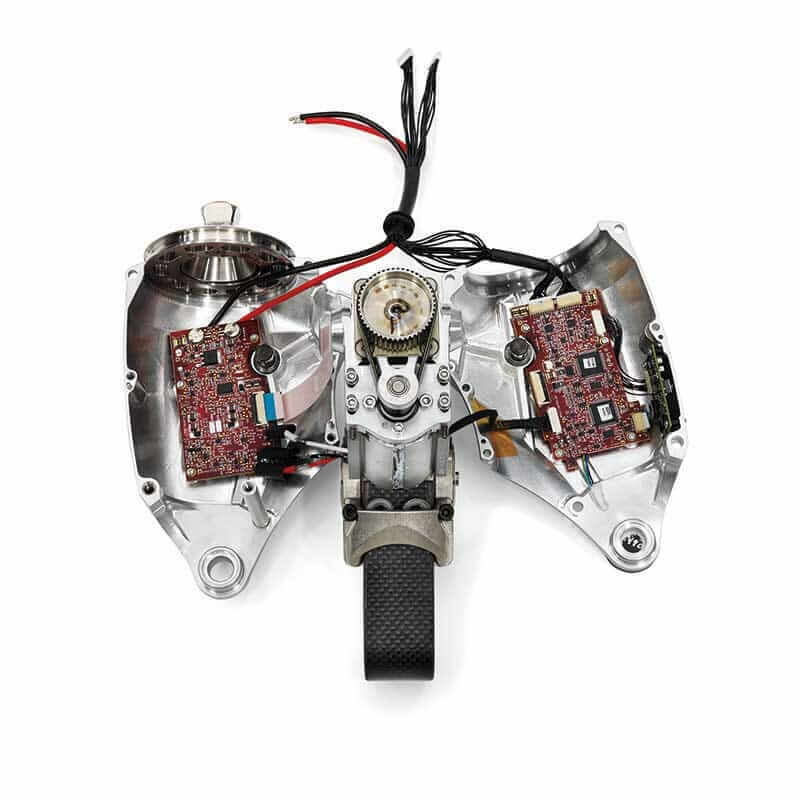 Housed in a sleek casing of carbon fiber and chrome is a dense nest of sensors and circuitry that controls an artificial calf muscle, actuated by a spring and a small electric motor. When the wearer steps down, the spring captures the potential energy; when he or she steps up, the motor gives a little boost. The device also measures things like walking speed and the angle of the heel strike; the onboard computer calculates what the ankle needs to do for each step. The result is an elegant hybrid of the biological and mechanical that emulates the function of a flesh-and-bone calf. It is unprecedented in the field of prosthetics: With each step, the BiOM propels the user forward with a natural gait that an old-fashioned, nonautomated prosthetic could never reproduce. In Herr’s vision, though, prosthetics like the BiOM are only a stepping stone to a broad meshing of man and machine. Though each unit is a sophisticated biomechanical apparatus—“I’m basically a bunch of nuts and bolts from the knees down,” Herr says—its intelligence is essentially circumstantial. The BiOM uses sensors to detect a user’s stride and react accordingly, but it is still fundamentally disconnected from its wearer’s nervous system. To design a hand that’s more dexterous than any artisan’s or a foot stronger and more nimble than any ballerina’s, that gap will need to be bridged, Herr says. New types of sensors will need to connect the human nervous system with the digital. His team at MIT is looking into a number of strategies to accomplish that. One promising avenue, for example, involves growing nerves through synthetic tubes that use electrodes to pick up impulses directly from the nervous system. Regardless of the specific tech that brings that bridge about, Herr is bullish on the concept’s long-term feasibility. “Basically, if you know how to input and output information to peripheral nerves, you solve a whole long list of disabilities,” he says. One of Hugh Herr’s MIT research projects is the FitSocket. It uses an array of actuators to sense stiffness and softness in a limb in order to create more comfortable, better-fitting prosthetics. Courtesy Matthew Septimus. That’s a formidable technical goal, but also an ethical one, because it would free people with nontypical bodies of all types from the irritation and discomfort of using things designed for the average body. 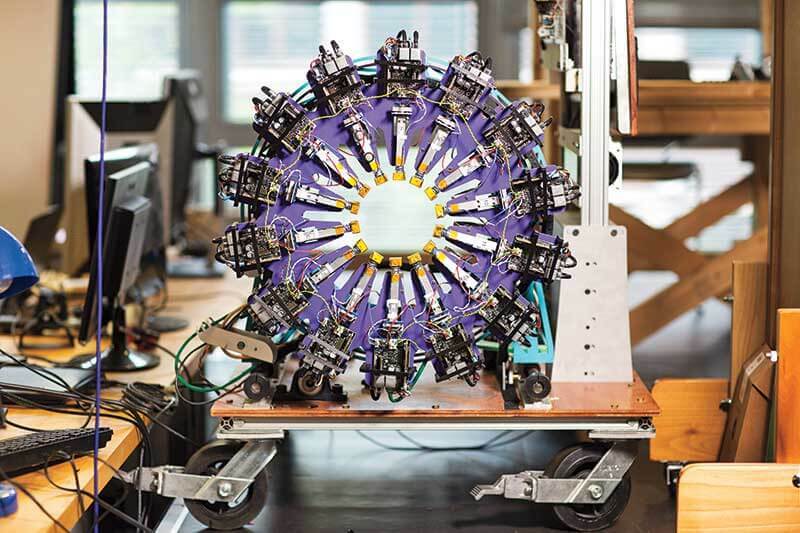 This article is an excerpt from The Future of Making by editor/author Tom Wujec and Autodesk. The book explores how emerging technologies and new ways of designing are transforming what and how people make things.